If your printer breaks down and you not to know who to contact in order to have it repaired in a cost-effective and professional manner, you will be pleased to know that you can rely on our printer repair service, with technicians who specialise in printer repairs and maintenance in the Brisbane, Gold Coast and Sunshine Coast regions. When looking for a printer repairs, most people are already in a crisis situation and cannot afford to wait too long for their printer to be repaired. This is why they prefer to resort to our priority printer repair. Our Brisbane, Gold Coast and Sunshine Coast technicians are always ready to serve their customers and to provide them with efficient and durable printer service. By working with our qualified technicians that are up to date with the latest technologies in their field, customers can be sure that they will benefit from our prompt and reliable printer service. As for how to find truly good and skilled printer technicians that can repair any printer in a fast and efficient manner, customers are recommended to look for a service provider which provides fast and on-site response to any printer-related issue. This way, they can be sure that their printer will be fixed in due time and that they will be able to successfully meet their urgent printing needs. Also, they are advised to look for a solution that provides a comprehensive range of services related to printing and printing problems, such as priority on-site response, quality spare printer parts, general maintenance, printer clean and health check, extended warranties, telephone support and after service care. If you are looking for professional and reliable printer repairs in Brisbane, Gold Coast or Sunshine Coast, you have come to the right place! If you require our printer repair service, tell us exactly how we can help and we promise that we will do everything in our power to provide you with the most affordable and efficient printer repair services available on the market! Contact our Service Department today via 1300 66 44 24, email or contact form. 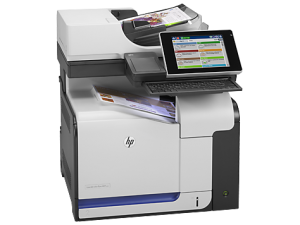 ⇐ HP Officejet Enterprise Printers & MFPs – Twice the speed and half the cost!